A SEVEN filter system that captures synthetic chemicals and toxins from your water sources to reduce STRESS! 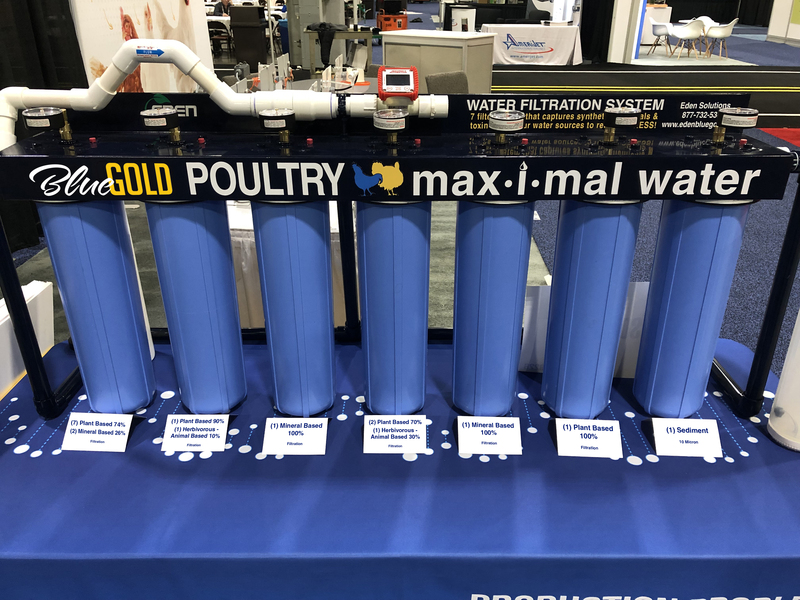 Our custom Blue Gold™ Water Filtration System is available to be used in your operation. Please call us on 1-877-732-5360 or email office@edenbluegold.com to learn more. At Eden Solutions, we are very passionate about what we do. We are consistent in the endeavor for prove positive results through research and development. The true definition of science is ‘from experiment to observation.’ When we recognize a problematic condition we pick it apart piece by piece. We consider everything. We feel the patched style ‘answers’ provided by the industry seem to offer little significant improvement. What is the problem? What is the solution? These two questions drive us to look past just treating a symptom. Why does Horse Feather Farms see differing results when feed, additives, buildings, etc. are all the same? Water. No two water sources are ever the same, just as no two side by side wellheads are ever the same either. Just as in humans, animals are composed primarily of water over any other substance. As a company, we emphasize water quality. We need to face the truth as the current day reality is that our water supply system is tainted with too numerous of toxic chemicals which always lead to high stress in birds, animals, and even us. glyphosate and other pesticides. Worldwide, farmers use over 3 million tons of pesticides annually.” One MIT Computer Science & Artificial Intelligence Lab study found that over time, glyphosate slowly damages delicate gut flora, leading to chronic diseases rooted in gut dysfunction. When the delicate lining of the gut gets damaged, it makes it more difficult to absorb vitamins and minerals from our food. (1) Not all water sources are the same (2) Assuming is not a risk-free habit. We have seen wells on the same water vein, just feet apart, have different compositions in lab analysis and conductivities. 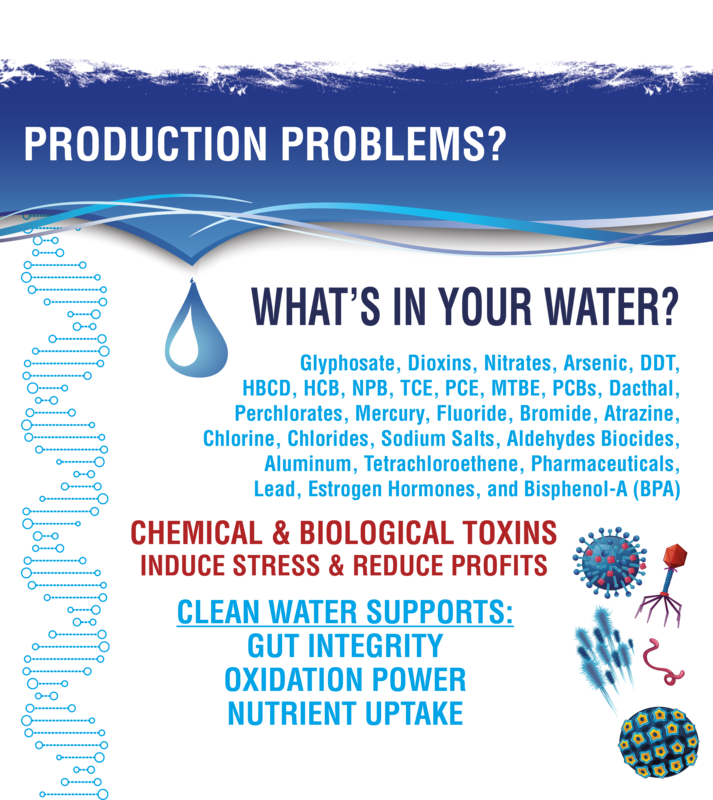 The state of water will determine its ability to act as a carrier, penetrate, ability to oxidize pathogens and ionic properties for proper interactions. 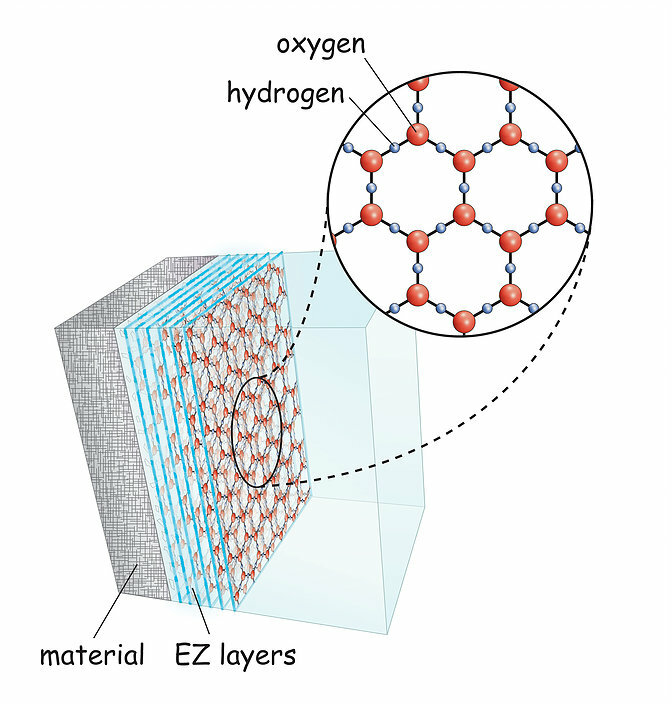 Water’s purity dictates its efficiency to hydrate and store conductivity (electrolyte) properties. We were not satisfied with the industry’s standard “solutions” to the existing problematic toxic water conditions. We built a 7 layer filtration system from naturally occurring and sustainable biology, plants, minerals and animal, magnetic negative charged elements that can grab, attach, and hold on to the various charged toxins we mentioned above. Our system is a huge improvement over the industry’s existing “solutions” we tested. Ultimately, it’s about one thing for us — to reduce the STRESS in the animals. When we do this the production always increases. 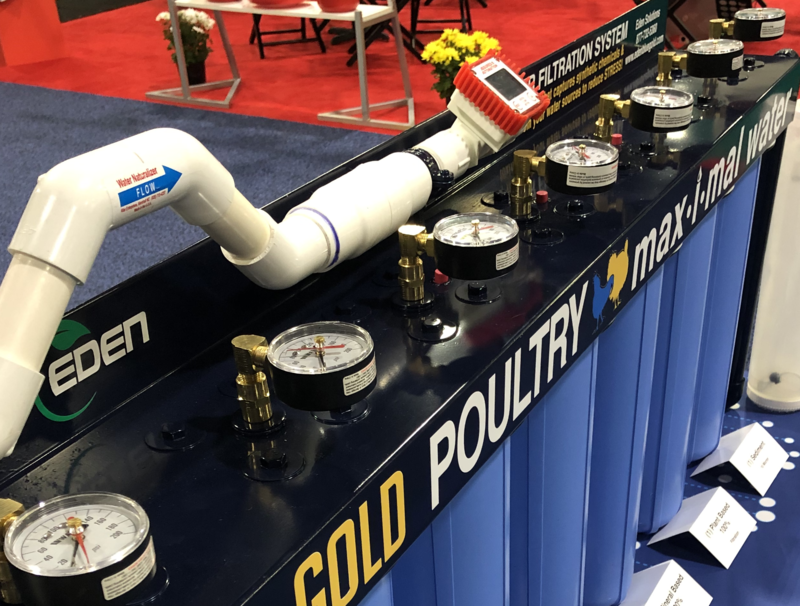 We showcased our 7 layer filtration system at the 2019 IPPE World Poultry Show in Atlanta, Georgia. It contains 15 differing detoxifying natural elements in varying orders, percentages, and ratios. Each one of the elements will grab and remove as many toxins as possible from the water. You will see that each filter has its own pressure gage. This is so you will not have to prematurely change a filter element until it tells you exactly — you will see a pressure drop variable due to a clogged cartridge element(s). As a company built by farmers for farmers, we work very hard to build our Animal & Plant systems around the farmer not our bottom line. Ionic (magnetically) balanced water is organized correctly for interaction in cellular nutrition and electrical patterns. Dr. Gerald Pollack, of the University of Washington, calls the concentrate water found in the body, EZ Water, the fourth phase of water. Our point, water is the first line of defense against attacks and dictates the body’s ability to stay strong and hydrate cells to overcome stress. Because of this, we put a considerable emphasis on our water filtration systems. A simple sediment filter is not enough. The contaminants we mentioned above are not sediment issues. 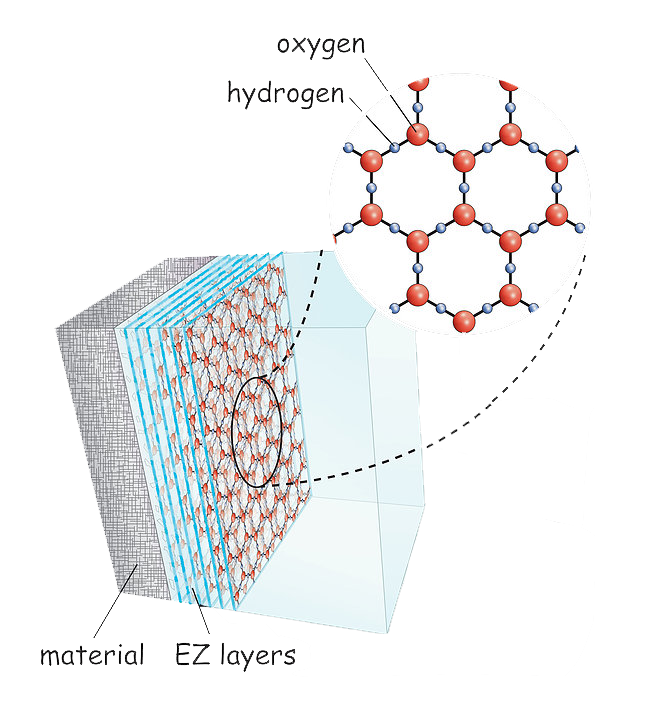 We have built inline canister style media filters composed of powerful minerals in specific sequences (other than carbon). These filters can neutralize, grab, and scrub these toxins from the water. Without proper water hydration through consumption, healing and growth are significantly hindered. Proper hydration levels are needed for optimal and effective healing. It is not a coincidence that the basis of all life is H2O, and neither that humans, animals, and plants are all majority water! Proper hydration with clean water is your foundational defense with oxidation potential. 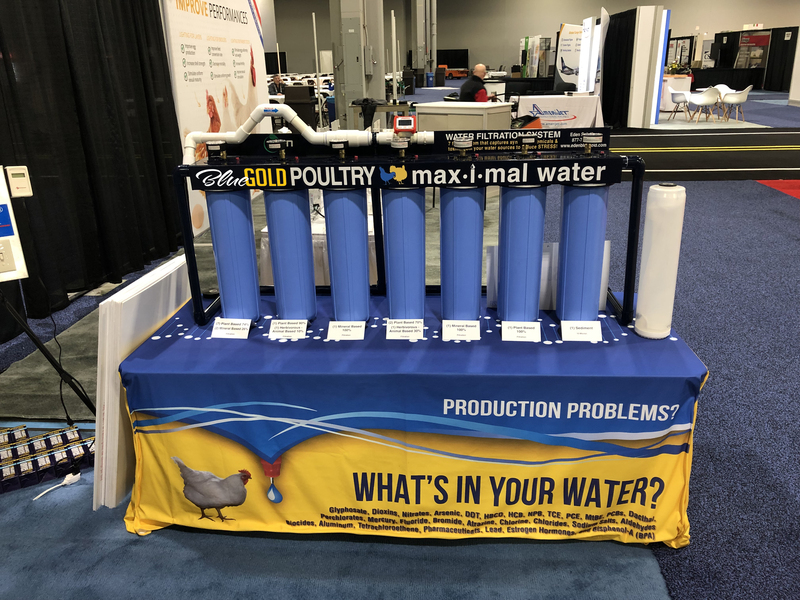 use our custom Blue Gold™ Water Filtration System in your operation.